Gurgaon, officially named Gurugram since 2016, is a satellite city of Delhi located in the Indian state of Haryana and is part of the National Capital Region of India. It is 32 kilometres (20 mi) southwest of New Delhi and 268 km (167 mi) south of Chandigarh, the state capital. As of 2011, Gurgaon had a population of 876,900. Witnessing rapid urbanization, Gurgaon has become a leading financial and industrial hub with the third-highest per capita income in India. The city's economic growth story started when the leading Indian automobile manufacturer Maruti Suzuki India Limited established a manufacturing plant in Gurgaon in the 1970s. Today, Gurgaon has local offices for more than 250 Fortune 500 companies. The city has been renamed as Gurugram (Sanskrit: गुरुग्राम, lit. village of the Guru), as the new name would help to preserve the "rich heritage" of the city by emphasizing its history and mythological association with Dronacharya. On 27 September 2016, Union Government had approved the name change, and thus the city and district is being henceforth known as Gurugram. Despite the official renaming, "Gurgaon" has still remained in colloquial use throughout the city. While some entities do publicly use "Gurugram", a large number of businesses have continued to use "Gurgaon" in their addresses or signage. The Rapid Metro in Gurugram became operational in November 2013 and currently covers a distance of 11.7 kilometres (7.3 mi). One more phase of the project is in the pipeline and would take the total number of subway stations in the city to 16. 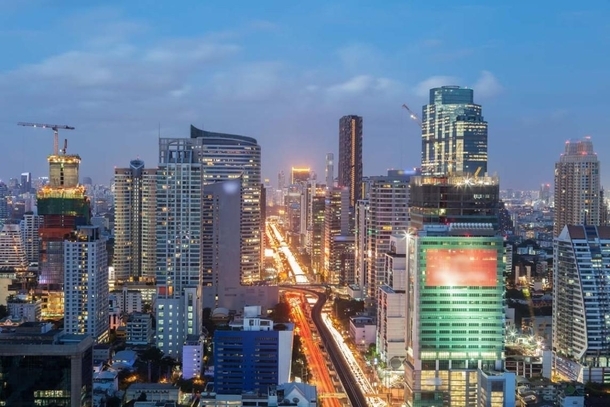 An estimated 33,000 people ride Rapid Metro everyday, which provides an exclusive elevated transit service with three coach trains that run in a loop. Under the Köppen climate classification, Gurgaon experiences a monsoon-influenced Composite climate. The city experiences four distinct seasons - spring (February - March), summer (April - August), fall/autumn (September - October) and winter (November - January), along with the monsoon season setting in towards the latter half of the summer. Summers, from early April to mid-October, are typically hot and humid, with an average daily June high temperature of 40 °C (104 °F). The season experiences heat indices easily breaking 43 °C (109 °F). Winters are cold and foggy with few sunny days, and with a December daytime average of 3 °C (37 °F). The Western Disturbance brings some rain in winters that further add to the chill. Spring and autumn are mild and pleasant seasons with low humidity. The monsoon season usually starts in the first week of July and continues till August. Thunderstorms are not uncommon during the Monsoon. The average annual rainfall is approximately 714 millimeters (28.1 in). 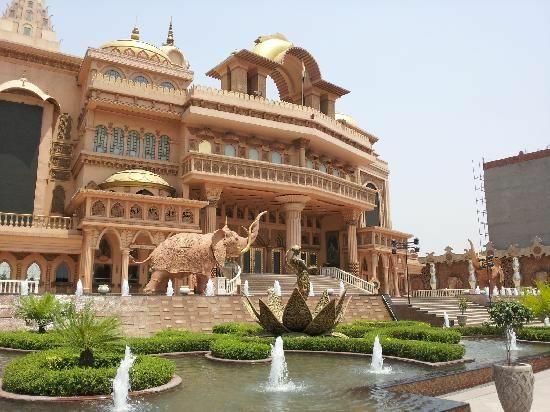 Kingdom of Dreams is one of the first live entertainment and leisure destinations in India. Covering an area of around 24,281.13 sq. m. comprising Nautanki Mahal, Showshaa Theatre, Culture Gully, Idea Buzz Lounge and a Theme Restaurant, this place is one of the popular tourist attractions in Gurgaon. 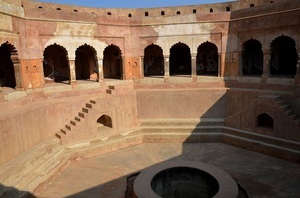 Designed like a traditional Indian Palace, Nautanki Mahal is the main attraction of this place. Nautanki Mahal is basically an auditorium with seating capacity of 850 people. Live shows and performances are held in this auditorium every night (except Monday) from 8:30 pm to 10:45 pm. 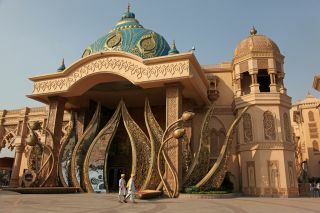 Showshaa Theatre is another popular part of the Kingdom of Dream that is an auditorium, which hosts stand-up routines and interactive theatre. The theatre also has ‘The Big Fat Indian Wedding Show’, where tourists can dress as bridal couples and get their pictures clicked or video made. The Great Indian Talent Circus is also a part of this theatre. Tourists can also visit the Culture Gully, which comprises street performances, artisans and handicraft stores. IIFA Buzz Lounge is another attraction of this place, which is a Bollywood themed bar. Fun 'n' Food Village, located on the Old Delhi-Gurgaon Highway was established in 1993. Ideal for family outing, this amusement park has joy rides and water parks. The amusement park also has some markets that offer traditional crafts work. Some of the popular rides at this park are mono rail, flying carpet and aqua pool. Wave pool, which is the largest wave pool amongst all the water parks in Delhi and Gurgaon, is the main attraction of this park. This park also houses snow park, which is spread over an area of 2500 sq. m. Besides, 21 amusement rides, 22 water slides and kids water play area are also part of this amusement park. During summers, rain dance is also organized in this park. 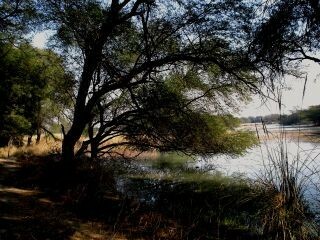 Sultanpur Lake Bird Sanctuary is located in Gurgaon district, around 15 km away from Gurgaon. Established in 1972 as the Sultanpur Bird Reserve, this place was upgraded to National Park in 1989. Spread over an area of 1.43 sq km, this bird sanctuary is a protected area, which is inhabited by over 250 species of birds. Birds like common hoopoe, common spoonbill and many others permanently inhabit the bird sanctuary. This sanctuary is also home to spotbill, painted stork, black-headed Ibis and many other rare species. During winters, several migratory bird species like Siberian crane, yellow wagtail and many species visit this sanctuary. 11 species of migratory birds like Asian koel, Eurasian golden oriole, black-crowned night heron and others can be spotted in summers. In the winter migration months, this park serves as the popular picnic spot for visitors, including residents of New Delhi and NCR (National Capital Region). Moreover, the bird sanctuary features four watch towers, an education and interpretation centre and a library. Within the sanctuary, there is a room dedicated to Dr. Salim Ali, which has his photographs, write-ups, and some of his personal items. Along with a children's park, the bird sanctuary also features a guest house having all the amenities.